I've driven a lot miles and eaten a lot cheeseburgers in Texas. From the Gulf coast to the high plains and in the hill country, everywhere my travels have taken me I've sampled the good the bad and the ugly of the Texas cheeseburger world. 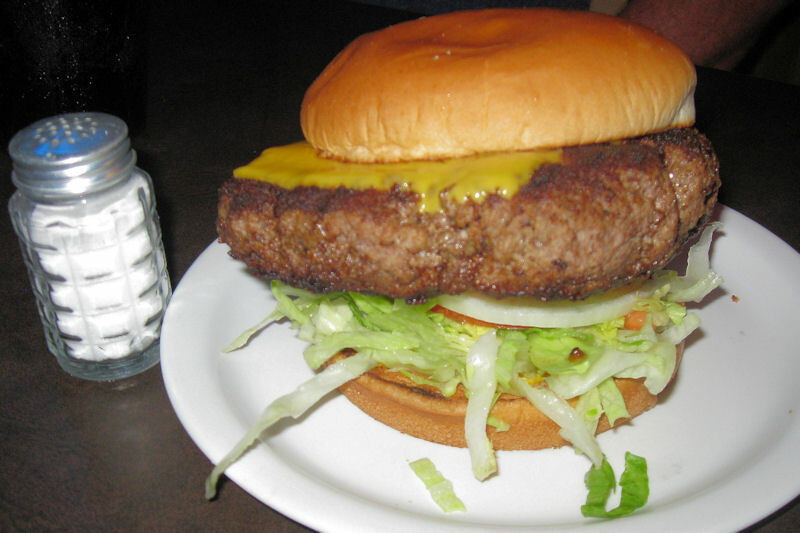 I usually get what I expect, a good cheese burger, sometimes I get surprised with an exceptional cheeseburger. In Texas they all share one thing in common, they are big. A few weeks ago I was out and about in the middle of Texana visiting friends and relatives and having a grand time when one of my outlaw relatives told me about a little cafe in Strawn, Texas. I had heard of this place so I was interested. He told me that they were known for their chicken fried steaks but that they had a great cheeseburger. 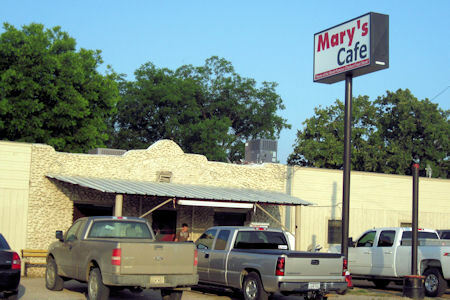 We got to Mary's Cafe about 6:30 pm on a Sunday. I thought that very few people would be eating out in this small Texas town on a Sunday evening, but I was wrong! There were pickups and cars parked all around the place. When we entered the small store front we were guided through one dining room addition after another until they found us an empty table. This place had obviously been expanded a few times. 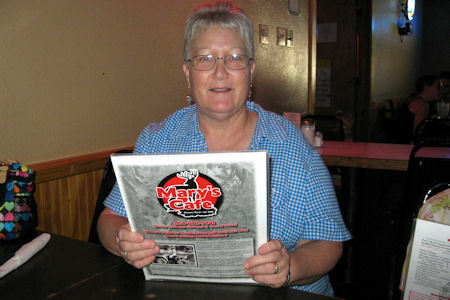 On the menu was the usual Texas country cafe fare but it did have a few interesting quirks. For example, the chicken fried steak, for which they were famous, came in three sizes. That should have been a hint at what was to come. The menu had food cooked and prepared to indulge, not to make you healthy. You will not find little red heart symbols by certain menu items that are heart healthy because there aren't any. When I found the cheese burger on the menu it was $7.95, a little pricey but I was soon to find out it was a bargain. When the waiter ask me for my order I said, "Let me have a cheeseburger with jalapeños. He looked over his glasses and said, "I want you to know that those take awhile to cook." This was one more hint that I was being set up. It did take a while before my burger arrived and when the waiter "presented" it to me several of the diners at the other tables looked a chuckled. This is the biggest burger I've ever been served. It contains one and one quarter pound of quality beef. 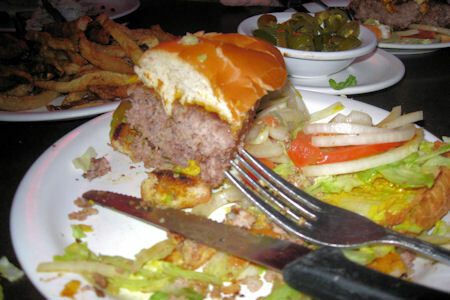 It is more than I can normally eat but the quality of the burger and the humongous beef patty was excellent.